Editorial: Is it the Price or the Bottleneck? Is it the price or the bottleneck that I dislike? “M.U.S.C.L.E. 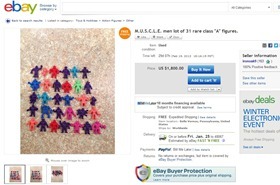 prices” and “How much are muscles worth?” are two search terms that bring the University of M.U.S.C.L.E a lot of traffic. When the website started I tried to look at M.U.S.C.L.E. prices in a novel way, and a fascination with M.U.S.C.L.E. prices deeply influenced Economics, Editorials, and Auction Watch. My goal was to help create a central location that housed quantifiable information that could be used to have discussions about M.U.S.C.L.E. figures from an objective, instead of wildly subjective, perspective. I hoped that a figure guide would also help collectors. The lettered classifications (e.g., Class A) certainly caught on, which is a good thing – but there was also a downside. Class A became synonymous with valuable. And while some M.U.S.C.L.E. 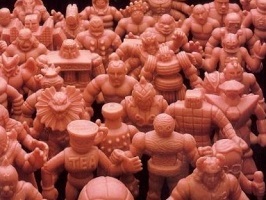 collectors had always attempted to reference M.U.S.C.L.E. websites (e.g., the MUSCLE DB) as an indication of rarity, it seemed that Class A more viscerally connected to buyers and sellers. So what? What does any of that mean? It means that M.U.S.C.L.E. prices don’t matter. Because the M.U.S.C.L.E. community is so small the M.U.S.C.L.E. Rule of Two (MRT) will always supersede logic and rational discussion. There doesn’t need to be a discussion around value versus price. The bigger concern is the impending M.U.S.C.L.E. bottleneck. 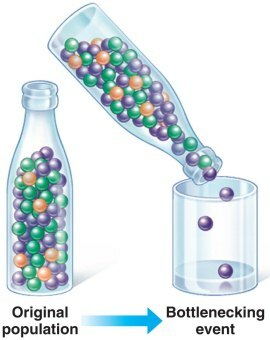 There are going to be three factors that cause this bottleneck: (1) cost; (2) competition; and (3) value. Two recent auctions the $1800 lot of Class A figures and seemingly last minute shill bid serve as excellent examples. In both of these auctions one person is playing a crucial role. In this case the individual (ironoak9) is the seller of the first auction and was almost the top bidder of the second auction (where a last minute shill bid seems to have come into play). This example is not meant to disparage the individual; it is simply a perfectly timed example and helps to focus the example to Class A figures. The cost. As a buyer ironoak9 appeared ready to spend approximately $250 per Class A figure. Of course, the costs of acquiring a Class A figure vary greatly. But recognizing the cost is important because even the most disinterested owner will want to recoup their costs. The competition. The M.U.S.C.L.E. Rule of Two (MRT) certainly carries a lot of weight when two bidders are interested, but what about the rest of the M.U.S.C.L.E. collecting population. Arguably 98% of the community has zero interest in outrageous spending. This makes recouping the original cost very difficult. The value. For years I argued that prices should reflect the actual value of M.U.S.C.L.E. figures. And for most of the world, there is very little value – regardless of Class or poster classification. And that may be true, but the value is really vested in the seller. The seller makes a significant valuation error. Too much attention is put on the seller’s experiences and needs and too little attention on the rest, or even worse, dismissing the rest as irrelevant. The more aware the seller is of the big picture, of what others are selling, how it’s being priced, and who’s buying what for how much and why, the better prepared they are to price their figure sensibly. Too many people make the mistake of equating dollar values with psychological factors like how emotionally attached they are to the figure or how much frustration they experience finding it. They place special meanings and, therefore, special asking prices on figures that may make sense to them inwardly, but have little or no relation to real, potential selling prices. 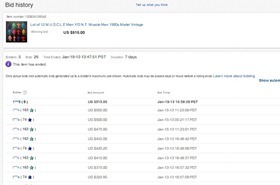 Actual collectors will see these prices as excessively high. The seller won’t sell for less and the M.U.S.C.L.E. figure is stuck in limbo. M.U.S.C.L.E. bottleneck. This entry was posted on Tuesday, January 22nd, 2013 and is filed under Economics, UofM News. You can follow any responses to this entry through RSS 2.0. You can skip to the end and leave a response. Pinging is currently not allowed. 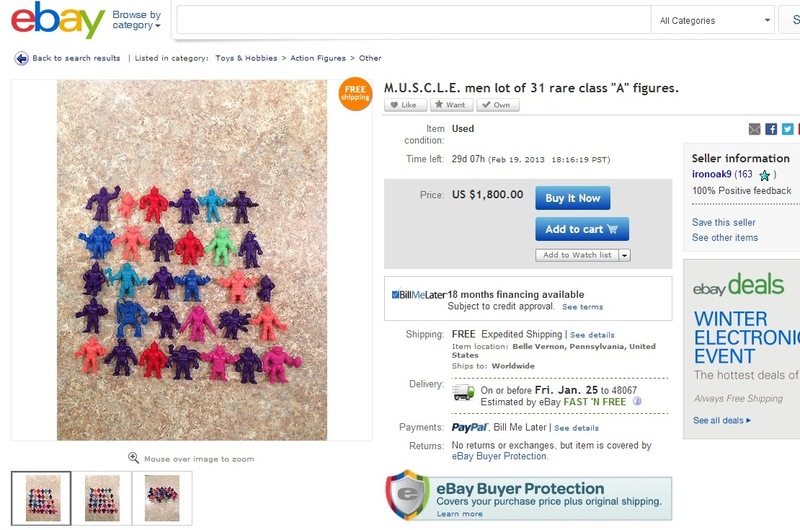 Auction Watch #128 - Interesting M.U.S.C.L.E. Auctions | University of M.U.S.C.L.E. Auction Watch #135 - Interesting M.U.S.C.L.E. Auctions | University of M.U.S.C.L.E. Epilogue – Week of July 28th | University of M.U.S.C.L.E.